The Sota News Team welcomes you to………. The SOTA NEWS team wishes all of our readers a very happy, prosperous, healthy and safe new year for 2008. Today is not just the start of another year it is also a time when we can all start afresh as activators within SOTA. All of the summits become uniques again as far as scoring activator points is concerned. When you are out there earning your points, please remember at all times to keep it safe. Take the time to read through John G4YSS safety (November SOTA News) feature once more, it offers valuable information which could possibly prevent an accident, injury, or worse. The January News will probably be a few days late because I am not back from Scotland until the 2nd February at the earliest. Apologies for any inconvenience caused, normal service will return after the GM trip. the points value is only shown for the first QSO of each activation. Chaser logs now include a new column for points. their SOTA records in a wider variety of personal formats. Reminder, Reflector posting of 29/12/2007 Re: SOTA Database Changes. The SOTA Database has been updated with some new DM summits, valid from 1-1-08, and some other minor corrections. It will also make the switch between G/WB-001 and GW/SW-041 as from 1-1-08. Questions have been asked in the past about why the personal stats on SOTAwatch - “My Activations”/“My Chases” - seem out-of-date. This is because it requires me to manually update it, so if it has been a few weeks the figures can get left behind. I have now set something up so that the stats should get updated at least once every day. They should be up-to-date now, and the system should be up and running properly by 5-1-08. We have decided to leave this item in the news permanently. You are probably aware that Steve 2E0KPO has been putting together a list of SOTA summits which would possibly offer access to disabled people who are wheelchair bound. He has now completed the task and has compiled an extensive list of summits which either meet the criteria to suit wheel chair access, or very easy access on foot. Steve has included self explanatory notes for each summit, so as to give a very good description of what can be expected on arrival at the summit. Steve’s list has now been included on the Burton ARC website and can be viewed on the link below. John GW4BVE activated Caliber Isaf GW/MW-031 on 30th December. Nothing special about that? It is not even a rare summit or even a challenge to ascend. It wasn’t even a long distance to travel, being only a few miles from John’s home QTH. However it was rather special for John in that it was his final GW/MW summit to be activated. John is the only activator to have activated all the GW/NW and all the GW/MW summits. There are no prizes for guessing his next target! Congratulations go to Fritz DL4FDM, who has now activated no less than 100 summits for their first ever activation. Fritz 100th summit 1st was achieved when he activated the summit of Schindhubel DM/RP-297 on 13th December 2007. Fritz had a huge pile up to deal with on 80m-cw, 40m-cw and 40m-ssb. Well done on a fantastic achievement Fritz. On 29/12/07, Mike GW0DSP celebrated his 100th SOTA activation when he did a joint activation of Cyrniau Nod GW/NW0034 with Barry 2W0PXW. The last SOTA statistics examined the activation of GW summits and laid to rest the rumour that GW activations were dramatically declining. It seemed more appropriate at the end of a year to examine a broader base, so we decided to look the number of times that activator callsigns appear in chaser logs and publish the top ten activators for each year. The tables speak for themselves, but one operator, Steve G1INK, has been outstanding in providing large numbers of chaser contacts consistently over the last four years. Well done Steve and thanks on behalf of all chasers to you and everyone else in the tables. Klaus DF2GN’s score for 2007 stands well above the rest and reflects his willingness to use both CW and SSB on multiple bands, develop efficient antennas and stay on summits for extended periods. An outstanding result - thanks Klaus. Who will be in the 2008 table? The “hit and run” merchants will have to activate a lot of summits before they get anywhere near the scores of the activators in the 2007 table. A “SOTA Statistics” thread will be started on the SOTA reflector for discussion on this subject. Mountain Goats (1000 activator points) in the world of SOTA. amateurs, with over 150 gaining Shack Sloth status. and this has been achieved by two G (England) SWLs (Roger Leighton & Ian Bradbury BRS188236) and one ON (Belgium) SWL (Peter Destoop ONL-5923) so far. The Emergency Number worldwide for Mobile phones is 112. If you find yourself out of the coverage area of your mobile network and there is an emergency, dial 112 and the mobile will search any existing network to establish the emergency number for you, and interestingly this number 112 can be dialled even if the keypad is locked. Try it out. With a cautionary warning about not relying on mobiles in an emergency !!! Kahleberg DM/SX-003 has become the first non UK summit to enter into the top 50 most popular summits with 56 activations at the time of writing. Kahleberg lies in 49th place at the time of writing, it is a 10 point summit and stands at 905 metres. Well done to all of the activators who have made this such a popular summit. The most popular SOTA summit is still G/SP-015 The Cloud, but that is purely down to the multiple activations of a local activator. Snowdon GW/NW-001 became the 5th GW/NW summit to experience it’s 100th activation on 30/12/07 when Roger MW0IDX/P along with activating partner Richard GW0VMW/P completed successful activations of Wales’ Highest summit. This was a fitting tribute to Roger who was also the very first person to activate Snowdon under the SOTA banner, way back on the 2nd of March 2002. I was asked to write a few paragraphs on the joys of SOTA activating in Ireland. My experience of hill walking in Ireland is quite limited, so I will start by apologizing to those who are better informed, for any errors or omissions. My family takes an annual holiday in County Wexford, where most of the time is given over to renewing friendships, playing golf, sailing and over-indulging in the local beverages. Despite this heavy burden, I have managed to escape and activate a few hills, and have amassed a few facts (and rumours) on the pleasures of walking in East Coast Ireland. I have carried out a number of activations in IE/IE and a few in GI/MM and used Ireland Ordnance Survey (Discovery Series) maps, which are obtainable from any tourist office or bookshop in Ireland. There are a very limited number of 1:25,000 scale maps available, but you will probably have to use Discovery series 1:50,000 maps, which are not quite up to UK OS standards and are barely adequate. Maps are also available on the internet - see http://www.themapshop.co.uk/europe/rest/ireland.htm. Minor paths are not shown and sensible use of a GPS is definitely required. Bear in mind that the Irish Grid system is different from the British system, but all GPS devices accommodate this. In the busier walking areas Wicklow Hills (EI/IE), Mourne Mountains (GI/MM), near major conurbations, navigation is easy on well-defined paths. On more remote hills, tracks are quite indistinct or non-existent, and navigation becomes much more challenging. On Backstairs Mountain IE-006, I walked alone for 8 hours and saw no one. It is imperative that a route card is left with a responsible adult, prior to expedition. Another good source of route material is the book, Walking in Ireland (ISBN 1-86450-323-8) and I have found the web site, mountainviews.ie, very useful. Wonderful hill walking is available in the Mourne Mountains in GI. The walk from Newcastle, Co. Down up the Glen River to the summit of Slieve Donnard, (GI/MM-001) is very attractive. It combines rushing waterfalls, superb mountain scenery against the backdrop of the Irish Sea, with great views of Scotland and the Isle of Man. When combined with Slieve Commedagh (GI/MM-002) it delivers 18 easily earned SOTA points and a great days walking. Another excellent pairing is Slieve Bearnagh and Slieve Meelbeg via the Trassey River route following the Brandy Pad (An old smugglers path). Bearnagh is a stunning Mountain with cathedral like granite outcrops on its summit. Great to scramble on after the slog up. The Mournes are very popular with climbers and walkers, in a great setting of mountains and lakes. Sheet 29 of the Northern Ireland Discoverer series covers all of the major SOTA peaks. Access to the countryside in Ireland is a fraught issue due to the near absence of legally recognized rights of way. Access across private land in mountain areas is generally good, but not a right. I personally, have not had any problems over access, and most farmers are glad to have a chat and are very welcoming. People are very hospitable, both North and South, and I have no doubt anyone walking in Ireland will be welcomed. Activations have been carried out using VHF and HF (ssb and cw). VHF paths from Eastern Ireland to most of the UK were surprisingly good into most of the major SOTA areas from N. Yorkshire to Devon, (using 50W to a 4ele), and HF contacts on 7 MHz and 3.5MHz have been easy on both bands. 5MHz is not yet available in EI but I understand this is about to change. It currently looks like 5MHz will not be available for visitors operating under CEPT reciprocal arrangements in EI. 5MHz is permitted in GI. Only 14 summits out of the 131 have been activated in EI/IS and there are still 51 out of 72 summits un-activated in EI/IE. Only 3 summits out of 97 have been activated in EI/IN, but in EI/IW you could not only claim a new unique summit but the first activation of the association as no summits have been activated there yet!! So if you want to activate some wonderful hills in stunning scenery, and probably be the first to do so, head west, young man (or woman), but be prepared for all weather seasons in one day. Well the UK NVIS propagation for SOTA activators can only be described as being very variable last month. 3.5MHz is reliable in the middle of the winter period but is of course busy and perhaps subject to more local noise at the chaser end of the link. 5MHz has been marginal with F2 critical frequencies hovering around our channels, but most UK paths being workable. Even 7MHz provided some UK propagation, see the example on the 15th below. Let’s have a look at some FoF2 figures for last month. The mean F2 critical frequency at 1200 utc for December was around 5.42MHz. The lowest was 4.8MHz on the 23rd. The highest was 6.4MHz on the 15th. There were only a couple of days where there was any significant sporadic E noticeable at midday utc. On the 9th Geoff G4CPA activated SB-009 around 0915. He was initially struggling for contacts on 5MHz with the F2 critical frequency around 4.3 to 4.9MHz. He reported poor conditions at 0945. At 1010z the FoF2 was 4.3MHz but shot up to 5.7MHz at 1020. At 1015 Geoff’s signals were good to GW4BVE in Welshpool and to Brian G3NIJ in Newcastle. One thing that we tend to forget is that the critical frequencies are lower the further north you go, but unfortunately the ionosondes providing the measurements are in the southern part of the country in Chilton and at RAF Fairford. On the15th around 1020utc most UK stations calling Klaus DF2GN on 7.118MHz were S9 in Welshpool with only the stations less than 50 miles away inaudible, for example Barry M3PXW in Ellesmere Port. Initially I thought this must be E layer propagation, but it was actually via the F layer and the F2 critical frequency peaked at around 6.9MHz at this time. Around 1100utc Barry GM4TOE had 8 UK contacts on 7MHz from Ben Rinnes ES-021. Conditions were still excellent on 5MHz at 1520utc when Ian G7KXV completed working his pile-up of 24 stations from Great Knout berry Hill G/NP-015. It can be worth checking for UK propagation on 7MHz but don’t be holding your breath as it doesn’t occur that often at this time of the sunspot cycle. 5MHz was still in reasonable form on the 16th but Geoff G4CPA had to wait for a clear channel on 5MHz as they were all occupied by Sunday morning nets and other SOTA stations. 5MHz has been fairly busy during the month, especially at weekends. On 22nd Paul G0HNW reported that 5 of the 7 channels were in use at one point and 3 of these were SOTA activators. On the 26th despite the FoF2 being marginal and varying, Robin GM7PKT worked many UK stations on 5MHz… Although the critical frequency in the GM is lower, this is outweighed by the longer paths to the majority of the UK chasers. Unfortunately this did not help Ken GM0AXY and Christine GM4YMM who were much too close in Edinburgh and were unable to hear Robin on 5MHz. Happily there was propagation to Edinburgh on 3.5MHz and the QSOs were completed on that frequency. On the 30th the F2 critical frequency at 1200utc was 5.62MHz but by 1310utc it had dropped to 4.52MHz, which just shows that 5MHz is very variable from hour to hour as well as from day to day. The description that is commonly used is “strange propagation” and this is quite justified at this time of the sunspot cycle. My gut feeling and that is all it is, says that cycle 24 will have started by the middle of 2008 and there will have been a significant increase in solar flux levels by the end of the year. So during the rest of the winter, 3.5MHz will be the most reliable frequency while the D layer absorption is low. Into spring and summer the D layer absorbs ion will increase during the day and make 3.5MHz less usable especially for QRP operators. As the daylight hours increase so will the hours when FoF2 (F2 critical frequency) rises above 5MHz, so 5MHz will again become the frequency of choice except for those very early and very late activations. There will be very few F layer inter-G openings on 7MHz but there may be some particularly on the longer paths later in the year. E layer openings will of course continue and 7MHz operators will report “short skip” conditions mainly during the traditional sporadic E season, but the openings will be, as described, sporadic and unpredictable. At some point the flux will start to rapidly increase and then we will be celebrating the start of solar cycle 24. The rise of activity at the start of a new cycle is always more rapid than the decay, so within a couple of years, or even less, we could be back to regular and reliable inter-G propagation on 7MHz during daylight hours. That’s it for 2007. Please try to get any NVIS snippets to me by around 28th January so the complete article can be sent to Mike GW0DSP for publication on the first of the month. Best wishes for 2008 and may the propagation gods be with you. I was unable to get out onto the hills during December so have no personal activity to report on but the intrepid Ian GW8OGI was active on six occasions and gave 4m a try on each one. Ian runs 5 Watts from a Nabishi N401L hand-held to a slim Jim made from 300 ohm ribbon and supported on a fishing pole. I had not heard of this particular rig before and Ian describes it as a re-badged Icom. Hand –held 4m radios are quite scarce since none of the major amateur radio manufacturers produce them and not many used low-band PMR radios seem to appear on the market. Garex Electronics advertise a Pye PFX converted to 4m for £54.95 which seems good value although I have no personal experience of this radio. I believe the antenna connector is non standard so it may be difficult (though not impossible!) to use an external antenna. For those with fat wallets it is of course possible to buy a new PMR low band hand-held! Ian went up to Mike, DSP’s office, Hope Mountain, NW-062 on Tuesday, 4th December and had eight contacts on 4m. Remember this was a weekday, so very good going! I have also worked the first six stations from local hills in the past so while they may not all be regular chasers they usually monitor 70.45MHz throughout the day. Just the one 4m contact from here with John G0NAJ in Dukinfield, another regular 4m band monitor. On the 13th Ian went to Moel Hebog NW-014 and on the 16th to Elidir Fawr NW-005 but had no success on 4m. On the 20th he made an evening visit to Foel Fenlli NW-051 (my office!) but problems with the rig prevented any 4m operation. A visit to Glyder Fawr NW-003 on the 22nd was more successful and yielded contacts with Mike G4BLH and John G1VGF located near Blackpool. He used this as a rough guide and ended up with very different dimensions for the stub and feeder attachment points as each brand and type of cable behaves differently. The main site itself is packed with useful information and well worth a browse. Hope to be out on the local hills in January if the weather is kind enough. I took advantage of still conditions and a nearly full moon to safely go up Foel Fenlli NW-051 on the evening of 20/12. There was a strong tropo opening on 2 metres. It was really peaceful on the summit on such a windless moonlit night. In addition to local contacts, I worked………. Both contacts were on 2 metre CW with 5 watts and a telescopic whip. First time I’ve worked 2 metre CW. Sadly, my time was soon up and I had to leave to pick up my son. a happy 2008 with lots of SOTA points and good DX! 4/12/07 on Hope Mountain GW/NW-062, with 500mw and a Bi-quad antenna, I managed contacts with……. 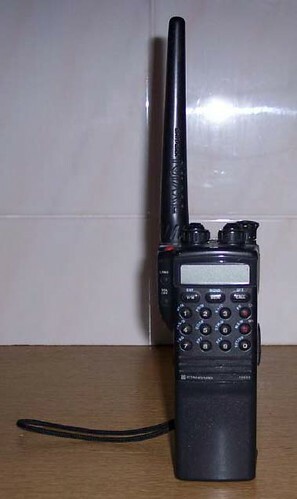 handheld rig, (144MHz/433MHz/1297Mhz) namely a Standard C568A. It only runs 35mw on 23cms, but Don also has a 19 ele beam at 30ft. I’ve worked Don on 2 metres from North Wales, so hopefully it should be possible on 23cms under the right conditions. There is a picture of Don’s rig on the link below. In my SOTA CW report of January 2007 I wrote “There are about40 regular activators using CW. Of these, 17 are from Germany, 12 from Switzerland, 6 from the U.K, 4 from Hungary and 2 from Austria”. In the 12 months since that report was written this total has increased by 300%, with more than 120 regular CW activators. 52 are from Germany, 18 from Switzerland, 6 from Hungary, 7 from Austria, 4 from Belgium,20 from France and 12 from the Czech Republic. I have not included the increase in UK stations using CW because I only use HF and consequently hear very few UK stations. However the data-base shows in excess of 40 UK CW activators, of which about a dozen are regulars. The biggest boost to CW activations came when France joined the SOTA organisation on the 1st April. From a modest start with just a few enthusiasts ( F5RGY, F6ENO, F5VGL and F8BBL) this quickly multiplied until by the end of the year there were 20 regular stations active from France. The mode again received a further boost when OK stations joined on 1st May, bringing a further dozen regular CW activators into the fold. The introduction of these new countries with such a heavy bias towards CW activations meant that chasers collecting SOTA uniques were in a very advantageous position over their non-CW colleagues. Perhaps encouraged by the above, it was very gratifying to see the number of chasers who resolved to either learn (or refresh) their CW skills. By the end of the year there were around a dozen newcomers using the mode. In response to this development, and determined to encourage this trend, Klaus DF2GN/p introduced a QRS session at the end of his activations, which continued throughout the year. It is satisfying to note that some of these stations are now regularly calling in during the normal QRQ exchanges. A good example of dedication and determination was seen from Tom. M1EYP who commenced copying CW very slowly and by the end of the year had reached a speed of around 18 wpm and is now chasing and activating using CW. Congratulations also to M0COP, G0NES, G4BLH and ON3WAB. SOTA CW activity peaked during the summer and early autumn when it became routine for dozens of CW activators to be spotted in a single day and chasers were able to collect in excess of 70 points as a matter of routine, and occasionally more than 100. Unfortunately the bad weather which curtailed so many SOTA activities in November continued into the Winter Bonus period, with very few CW stations active during the first half of December, either in the UK or mainland Europe. There were many days without a single spot and the only regular activators during this period were Dan DH8DX, Klaus DF2GN, Jurg HB9BAB and John GX0OOO, who is one of the few SOTA activators to use the 160m band, with considerable success. Mid winter propagation on 40m became very poor on some days last month, with long-skip conditions, resulting in stations from the USA (K4IN in particular) being audible up to noon and EU stations very weak or inaudible. Even 30m (normally a most reliable SOTA band) was suffering by only being useful for a few hours either side of noon. It is interesting to compare the difference between SOTA chasing in summer and mid-winter. In summer it is common for activations to be heard from 0630 until 1900 UTC (sometimes even later on Tuesday evenings). In mid-winter, chasing becomes a much more relaxed affair. With barely six hours of daylight the window for activations rarely commences before 0900 and is usually over shortly after noon. A warm welcome is extended to new SOTA CW activators Mario DL4MFM, Peter HB9CMI, Vlad OK1XVZ and Vaclav Pribl OK1AUP, first heard on the air during December. .It is interesting to read comments on the reflector from activators who have encouraged their children to become licensed (in many cases the enthusiasm comes from the offspring themselves). In these modern times Amateur Radio can seem rather old-fashioned and of little advantage to a career, so I will relate this true story. A few years ago my daughter, encouraged by seeing her older brother successfully train to become a Marine Radio Officer and later pursue a career ashore in communications, followed him through Radio College with the intention of using the qualification to gain entry to an Electronics and Electrical Engineering degree course at University. She had no interest in Amateur Radio, but with her training and my encouragement took the examination and become licensed as M5OOO. The licence was put in a drawer with little interest in going on-air. Came the first day at King’s College, University of London, when newcomers were assembled for an introduction by the Head of Electronics, who welcomed all students and posed a simple question “Who knows the meaning of SWR?” Out of 150 new entrants only my daughter raised her hand. The Professor then came down from the rostrum, shook my daughter by the hand and said "I am G3…and I am looking for someone to help me set up an amateur radio station at the university, what is your call? Needless to say, having the Head of Electronics take a personal interest in her progress did not harm her career prospects one bit. The project was completed and club callsign G0KCL obtained. A few years later my daughter was appointed Director at Ofcom. You never know when that extra qualification will separate you from the crowd. My Best Wishes for 2008 to all SOTA activators, chasers and SWL’s. This is a new idea from Richard G4ERP, a section where various products have been tested for sota use and a report can be given on the items to help others. Used for only 2 months. Weight: 70g for the pair. Forget the trendy name these gloves really are the business for winter activations. They are a great compromise between protection for your – err – extremities and dexterity. Setting up the station is no problem and writing is easy. Even SMA connectors aren’t a challenge. They’re not very waterproof and aren’t completely windproof, but hey, you can’t have everything. Keep them in your sack as your spare gloves and swap to them when you reach the summit. Verdict: Excellent. My Peter Storm fingerless gloves are now well-and-truly pensioned off. They are thin, extremely strong and have maintained their points despite being used extensively on rocky summits. Unlike aluminium or steel guys, they will find their way into any small cracks. Even frozen ground is relatively easy. They come in a pack of six. One tip: close up the loop a bit using a strong vice. This helps the rope to stay captive whilst you put up the mast. Be careful whilst doing this as a slipping peg could do you some damage. The last time I had a spur of the moment idea, it turned into the SOTA Fun Evenings which began in the summer of last year and hopefully we will resurrect them in the spring of 2008. My latest notion came about after nominating Geoff G4CPA as personality of the month (November Sota News) after his TV appearance. Why not a SOTA personality of the year? Due to the popularity of the event, it was decided that three places would be awarded. I contacted Steve 2E0KPO and asked if he could design certificates for 1st, 2nd and 3rd places. Steve obliged in record time and emailed the templates to me on the same day and they are now printed out and will be posted out to the winners early in the new year. Voting commenced on the 10/12/07 and a close date was set for 21/12/07 due to the approaching Holidays. The idea was a big success and attracted 110 votes for 38 different personalities. Votes were recorded with several different reasons given for your choices of nominees and some of your votes even came in for Sota dogs. The whole vote was done in what can only be described as “in the spirit” and was typical of the fun family atmosphere we share within our SOTA community. The voting was very close for the top three places with just 4 votes separating them. Only the top 3 are shown here, but a full list (in no specific order) of those voted for is available on email request. Here are the results, with the main reasons given for election. The certificates will be posted out early in the new year. The winners are as follows……. 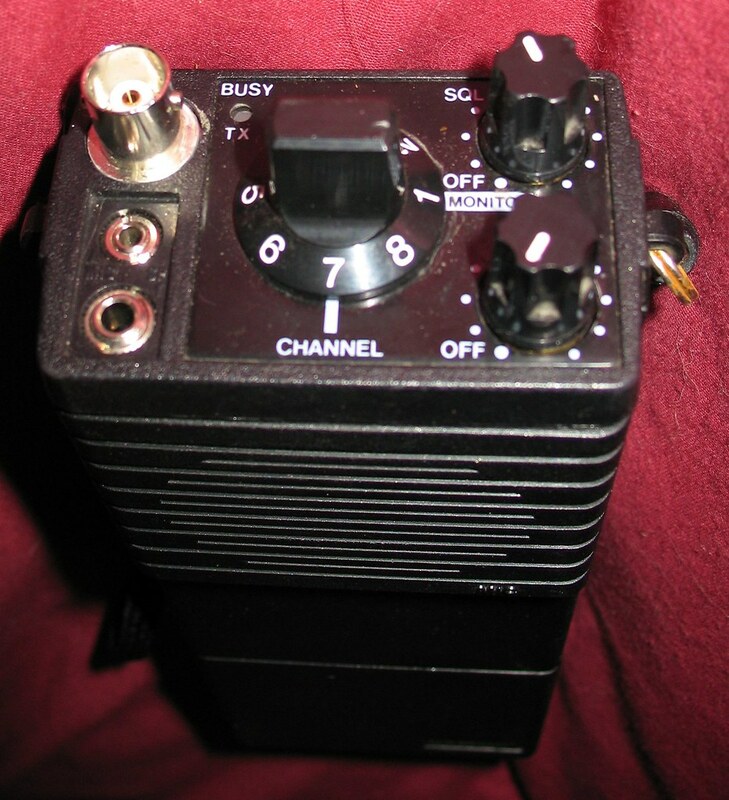 Reasons given: A very prolific activator, for superb operating techniques and a consistent big signal, for consistently ensuring that every last chaser is worked by using several bands and modes, especially for encouragement to new cw ops with his QRS cw sessions and then returning to various frequencies to catch anyone who may have missed him first time around. A true gentleman on the air. Reasons given: A very prolific activator. Superb QRO activations covering many bands which offer everyone at home or overseas the chance to work him. Superb operational skills, especially when in DL last year enabling many UK chasers to work him back home. A very warm, friendly and gentlemanly style of operation. Reasons given…… A very prolific and reliable chaser/spotter, almost 100% certainty to reply to CQ. Multiple activations of local summit for no points. Outstanding Sota achievements reached in less than a year. Fastest to date to reach Superslothdom. Doing a great job of the News, offers an interesting and varied news bulletin. Outspoken and will say it as it is on the Reflector. Congratulations to everyone who received votes and a big thank you to everyone who took the time and effort to vote. The SOTA Flickr group now has over 100 members and has over 3,000 photographs on display. The standard of the photographs is very good and the site is a real blessing to prospective activators, who get to see what they face on the summits. The photographs also bring the summit views to those of us who would otherwise never get to see them close up. Wow, yet another month of very high quality photos for the Sota Flickr Group, anyone could have won this month. Once again we have a clear winner, which has received several votes. Congratulations go to Gerald G4OIG for his superb winter sunrise scene from Long Knoll G/SC-007. The exposure is perfect, on what is technically a very difficult shot, well done Gerald. Gerald is the first UK SOTA participant to win the photo of the month since this feature was added to the news in October 2007, the previous winners being Dan DH8DX in October and Jurg HB9BAB in November. Please keep your votes coming in every month for Photo of the Month. Gerald’s winning photo of the month can be viewed on the link below. technical challenge if there is ice about, but there then follows an excellent graded stretch contouring along the lip of the ridge to the summit. Buckden Pike G/NP-009 (and the aircraft wreckage) on the other side of the road. Steve G1INK, Mick 2E0HJD and Mike GW0DSP will be in Scotland for 5 days, commencing 28/1/08. We will be staying at The Caledonian Hotel, Fort William and hope to activate as many summits as the weather allows while we are up there. There is a slight chance that we may just possibly sample the local brew too. Steve and Mick will be activating the bigger summits and due to my condition, I will be activating the easier summits, if such a thing exists in GM/WS. I also intend to do a bit of winter cod fishing along with playing radio. I (GW0DSP) will make myself available to activate any rare WAB squares also, so if there are any squares in or around the Fort William area, or on the route between North Wales and Fort William, then please feel free to email me the details along with your phone number so that I can ring you when I am QRV in your wanted square. I will do my best to activate any requested square. As a team, we have now made the decision to increase the team to 6 members, made up of 2 activators and 4 chasers. This decision was made in view of the controversy surrounding the use of club call signs or any chaser using 2 callsigns which he/she holds. Club calls etc has never been an option for this team, but the thought of not getting the required 4 contacts in the wee hours was enough to persuade us to take 4 chasers with us. Two more people have now been included from the list of callsigns who applied as chasers. It is my pleasure to officially welcome Paul G4MD and Ian G7ADF to the team, which is now complete and as follows……. Chasers/support crew will be, Mick 2E0HJD, Paul G4MD, Ian G7ADF and Mike GW0DSP. As stated earlier, speed is of the essence, but the lads will try and work as many “outside” chasers as is possible while on the run, please give them your support. Our intended route will be published shortly. There’s no improvement what so ever as yet, the right side of my face has no movement at all, it seems as if it’s just a waiting game and We’ll see what happens, at least I am off the steroids now which played havoc with my other medications. I don’t think I can do myself any harm if I attempt an activation in the cold weather and I must admit, I am a bit like John G4YSS for liking the cold icy mornings, anyway just steady away and I’ll see how things go. It was pleasing to hear Clive back on the summits on 13/12/07, when he activated G/SP-004 Shining Tor. Welcome back Clive. Ian G7KXV is recovering nicely after his recent knee replacement surgery and made a welcome return to activating on 15/12/07 when he activated G/NP-015Great Knoutberry Hill. The SOTA News Team and your fellow Sota participants wish you a very warm welcome back on to the hills Ian. Today’s angiogram showed that my angina is due to the artery down the middle of my chest being partially blocked - hence the pain when I get too energetic. This was clearly visible on the X-ray pictures. As this is the only artery affected, and apparently only in one place, treatment will be the insertion of a stent, probably in early January, over in Stoke. A stent looks a bit like a short section of coax outer, made of titanium mesh. It is inserted over a balloon on the end of a catheter pushed along an artery, possibly accessed in an arm, or in the groin (like today’s effort). The balloon is inflated when it gets to the constriction and expands the stent, squashing the constricting material and opening up the artery. The stent stays in place when the balloon is deflated and the catheter removed. After rehabilitation, I should be almost back to pre-angina condition. Today’s procedure means that I am unlikely to be allowed back in the shack tomorrow. Luckily, there appears to have been no errors reported in last month’s news. That’s it for another month, for another year also. As we try to expand the News, the SOTA News Team hopes that there is something of interest for everyone. As always, your feedback, whether good or bad, is always very welcome so that we can do our best to improve the news for you and include any other topics at your request. On behalf of the SOTA News Team, thank you for your continued support. number 112 can be dialled even if the keypad is locked. Try it out. 112 is the harmonised emergency number for the European Union only. It does not work worldwide. Moreover it works on all telephones not just mobile phones. There is no difference between dialling 999 and 112 in the UK, both calls are routed and handled exactly the same. Finally, 112 is not guaranteed to work on all mobile phones when the keypad is locked. 112 will only work through a locked keypad on a modern phone. but i think we have to say thank you to all activators and chasers all over the associations ! some om´s haven´t the time and not so many summits in their home-area as i have. and so its not so a big thing for me to do all these activations.think in most associations its harder for the activators to do sota. therefore i try again in 2008 to reach most chasers and give a few points back. that means… multimode/multiband es qro in future. P.S. i think DH8DX Dan worked sum DX before me, include US . summits is not so high and sometimes i have only 1 or 2 qso´s in the log. Klaus, you are a very worthy winner. Congratulations. to work all the chasers in the pile-ups! Many thanks for yet another informative and interesting news report Mike. Almost as good as waiting for ‘Radcom’ to arrive. A worthy winner Klaus. Congratulations and many thanks for the 219 chaser points you have given me since October. HNY to all activators and chasers. Many thanks for another comprehensive and detailed report Mike (and all the contributors)- it took me several sessions to read through it. Probably more information than the average RadCom, Hi! Congratulations to you Klaus - you are always consistent and a true gentleman prepared to spend time working all who call. Congratulations also to Steve and Mike for your contributions to making SOTA what it is. …and well done Klaus. A thoroughly deserved win. And Herzlichen Glückwunsh to Klaus. Many thanks for all your efforts. You are a worthy nr 1 SOTA personality!! Not to forget nrs 2 and 3 Steve and Mike. Congrats dr Klaus,also to Steve and Mike,Great contributions to SOTA.